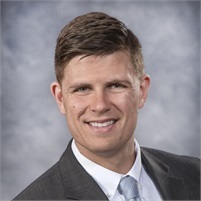 Scott joined Cornerstone Capital Advisors in July of 2018 as a Financial Planning Associate. He works closely with our Advisor, Analyst, and Portfolio Administration teams to develop, implement, and monitor client financial plans and investment accounts. Scott began his career in the financial services industry in 2016. His most recent experience includes managing the investment portfolio for a community bank’s trust department in Mansfield, Ohio. He is a former member of the Board of Directors for United Way of Richland County, and served as an Advisory Board member for the Dewald Community Center, also in Mansfield, Ohio. Scott graduated from Ashland University in 2015 with a degree in Integrated Social Studies Education and is currently pursuing his CERTIFIED FINANCIAL PLANNER™ designation.